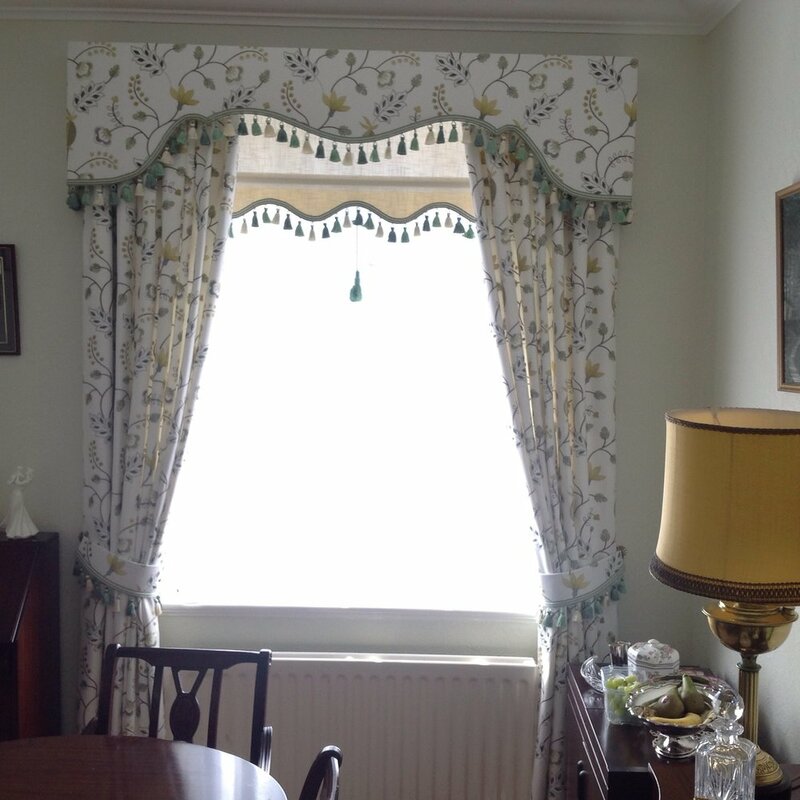 A larger window showing eyelet curtains. 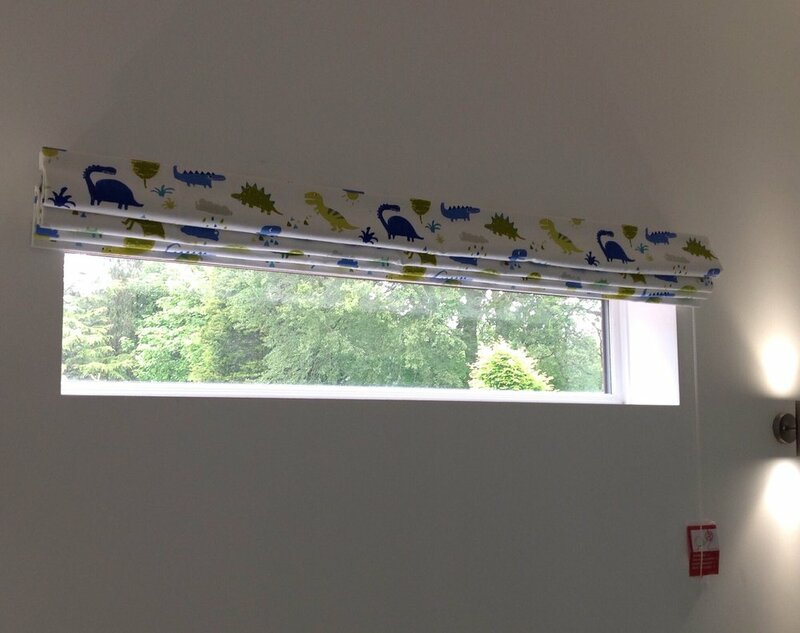 Roller blind & tie backs trimmed to match. 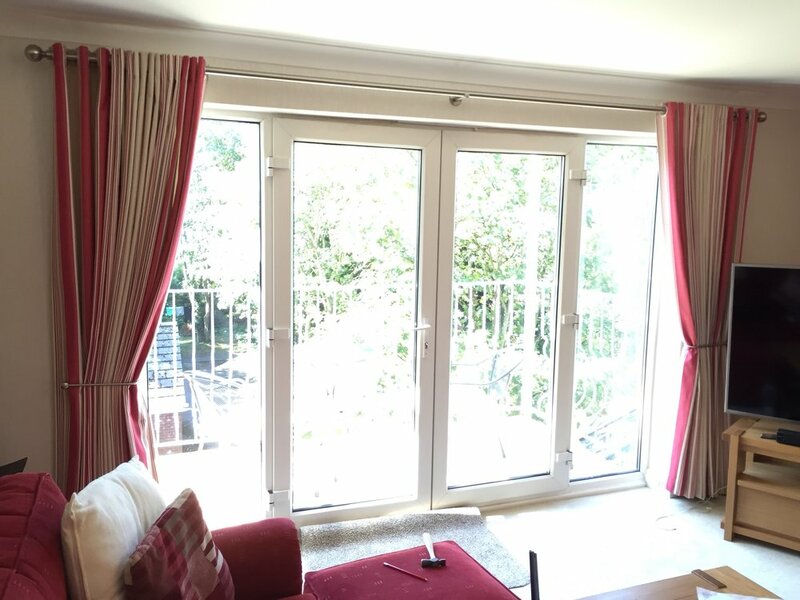 Curtains, pelmet & a roller blind. Using modern fringe trimmings on both. 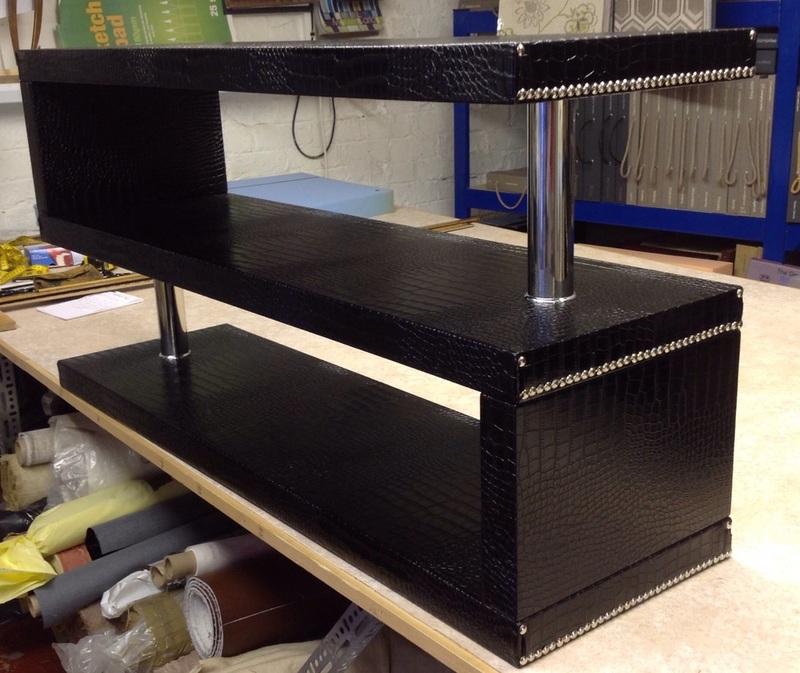 Pelmet under construction, just adding the finishing touches. 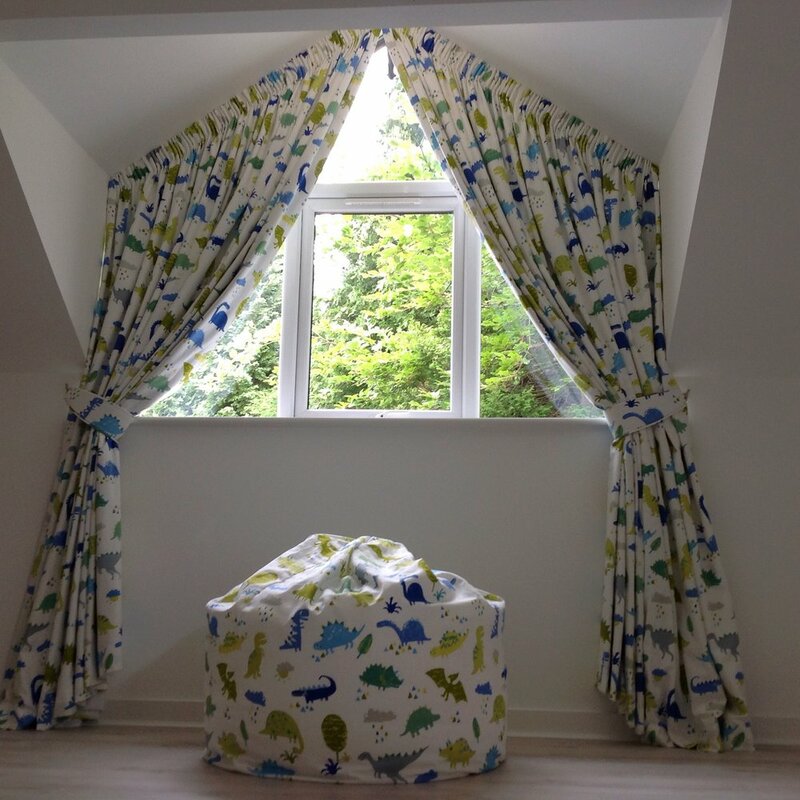 Fabric by PT Dino, also made a matching bean bag. 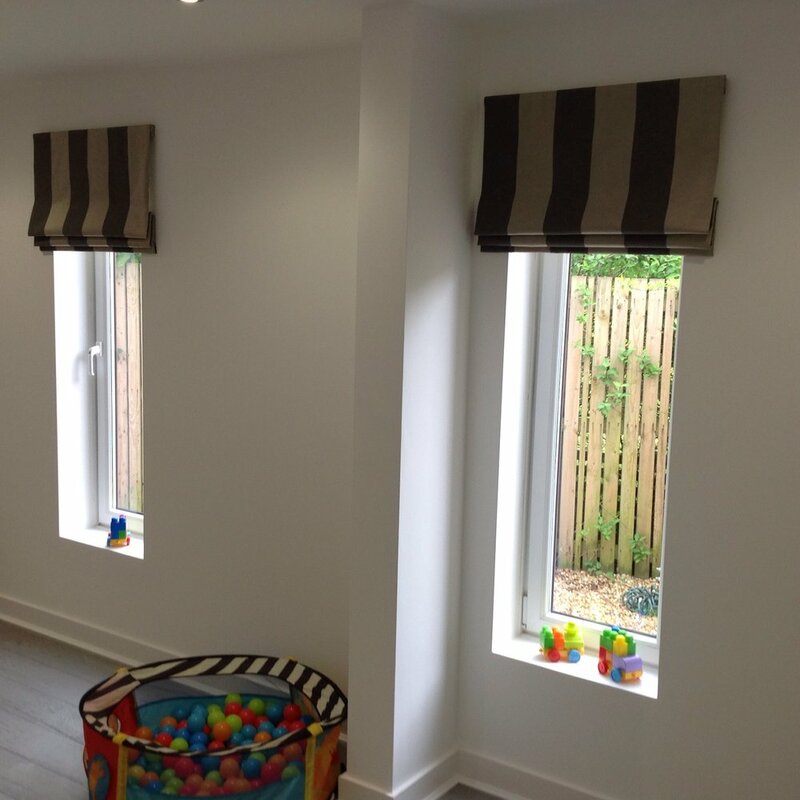 A child safe matching Roman blind. Getting the lines to match is a must! 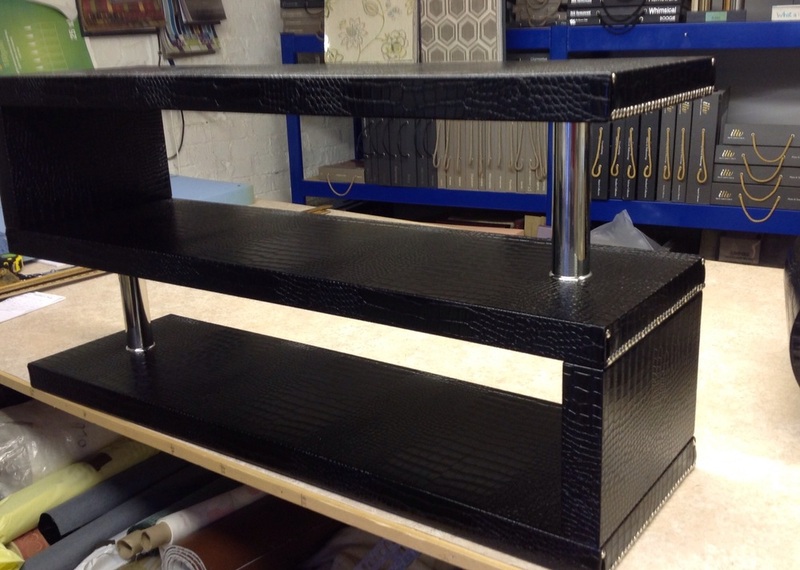 The following pictures show how to correct the piece of furniture an return it to its former glory! 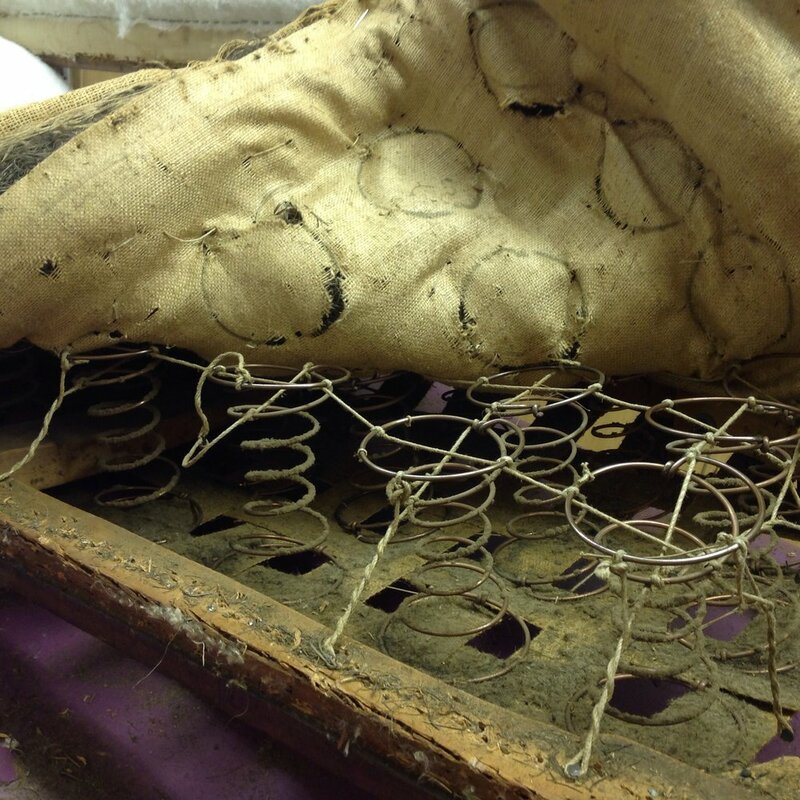 The preparation is done for the original horse hair seat to be placed on & re stitched into place. 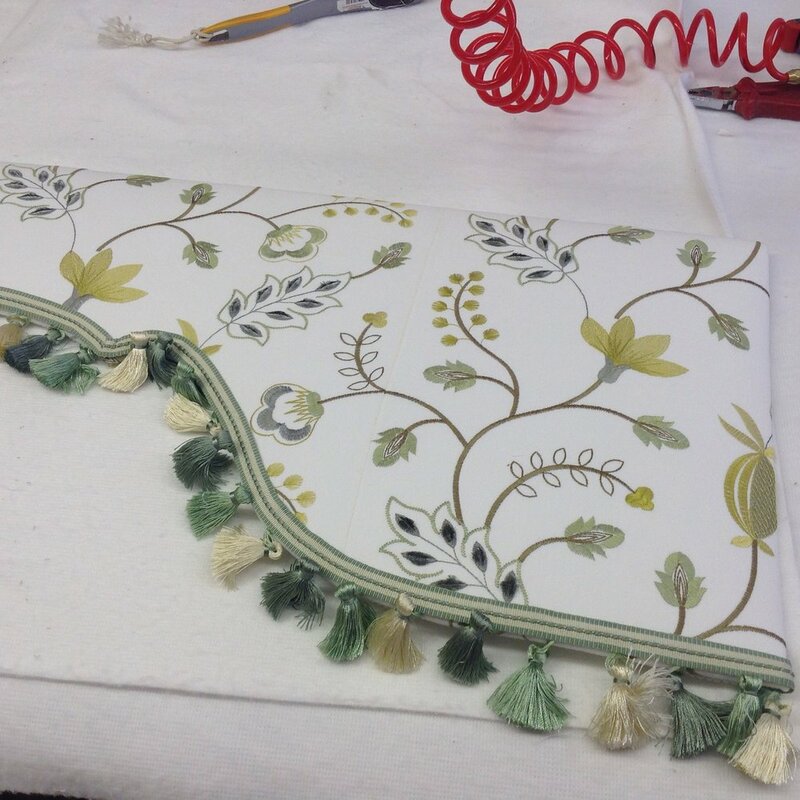 Fabric Kirkby Design Crush 3 colour moss! Client was so thrilled with the result!! 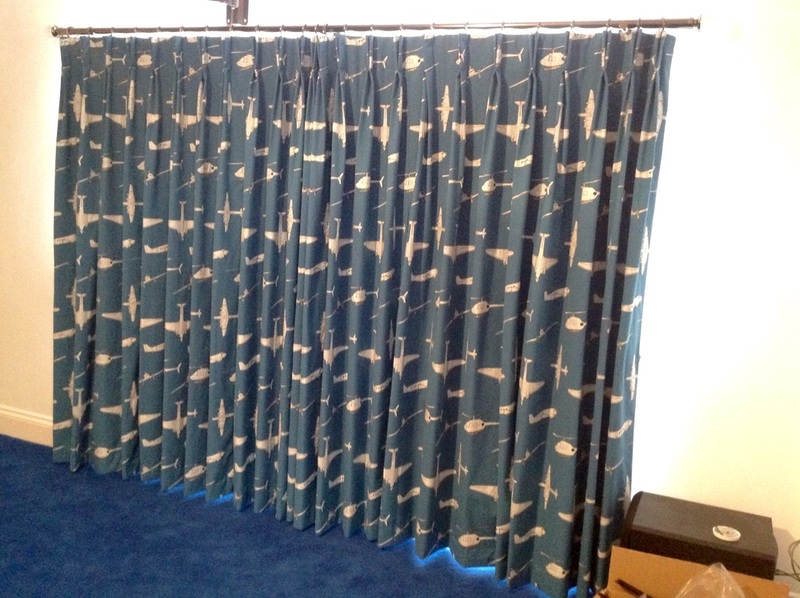 Pictured here, interlined double pleat curtains. 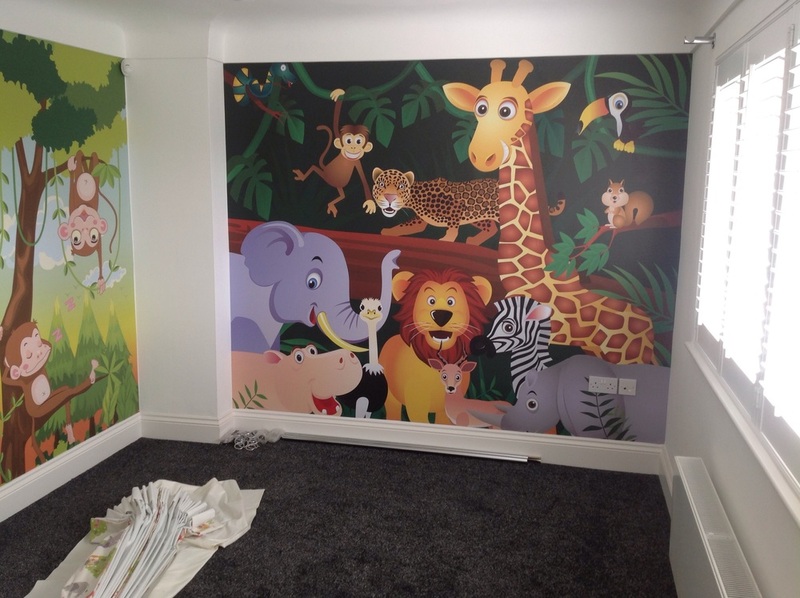 Animal print featured walls, waiting the curtains to be fitted. 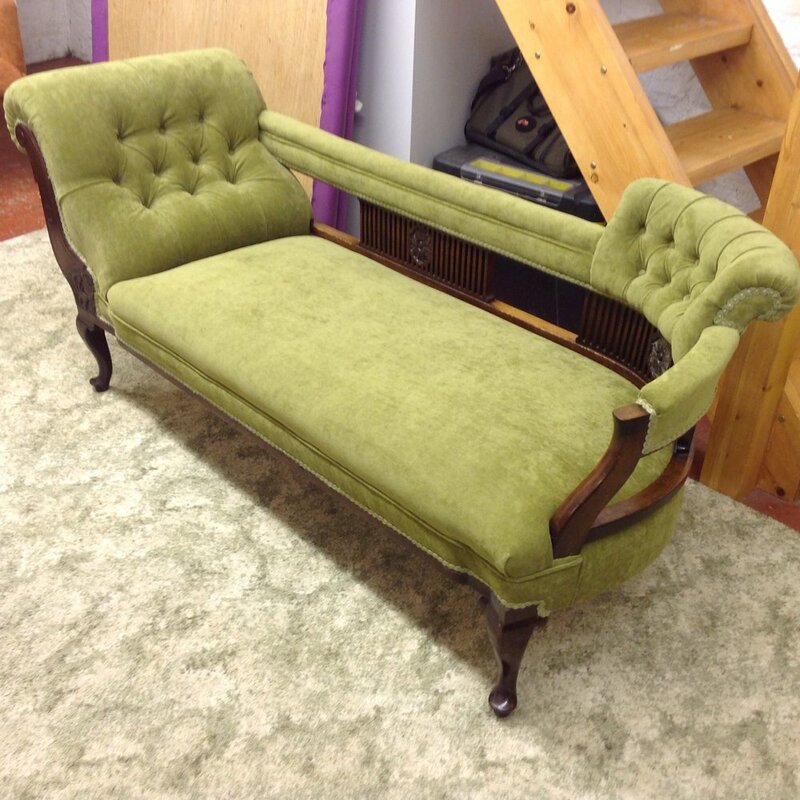 Recovering of a settee, with scatter cushions in a moddern fabric. A co-ordinating easy chair to sit along side the settee. 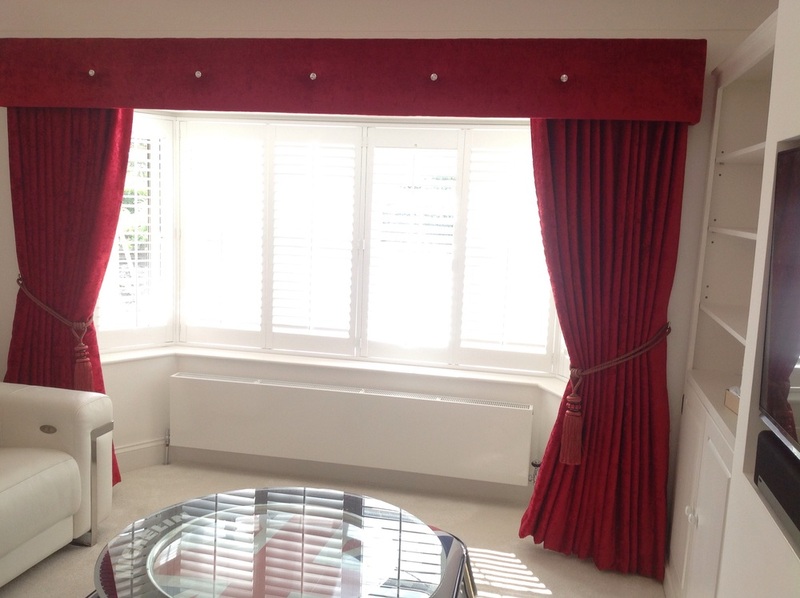 Study Dress curtains, in a stunning red crushed velvet. Essex board pelmets with Crystal buttons. 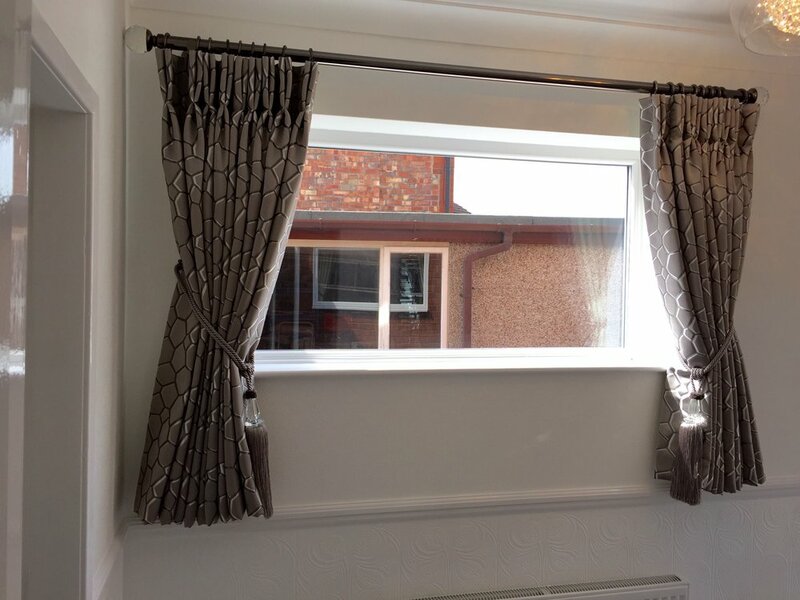 Pencil pleat curtains under the pelmets & silvery / grey Crystal rope tie backs Stunning. 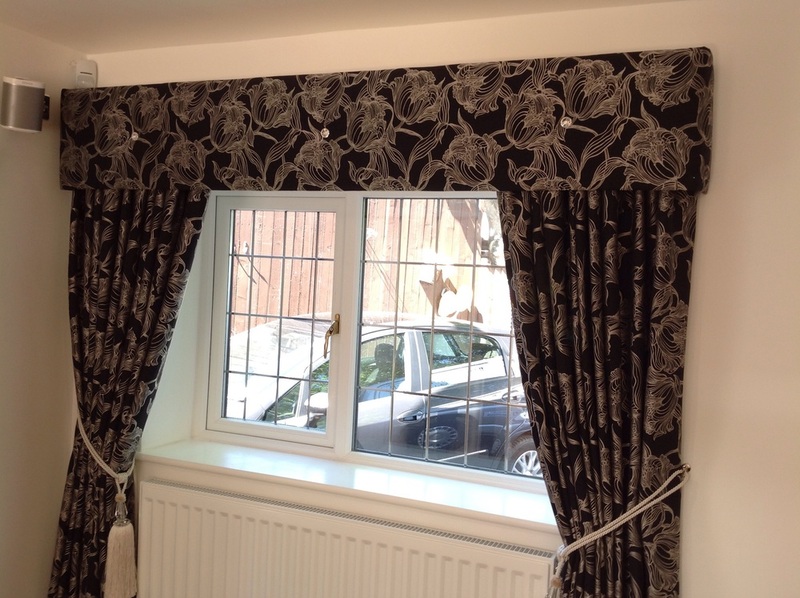 Fabric by Bill Beaumont, Tie backs by Jones interiors & Swarovski crystal buttons. A deep buttoned curved chair covered in 2 Harlequin co-ordinating velvets! 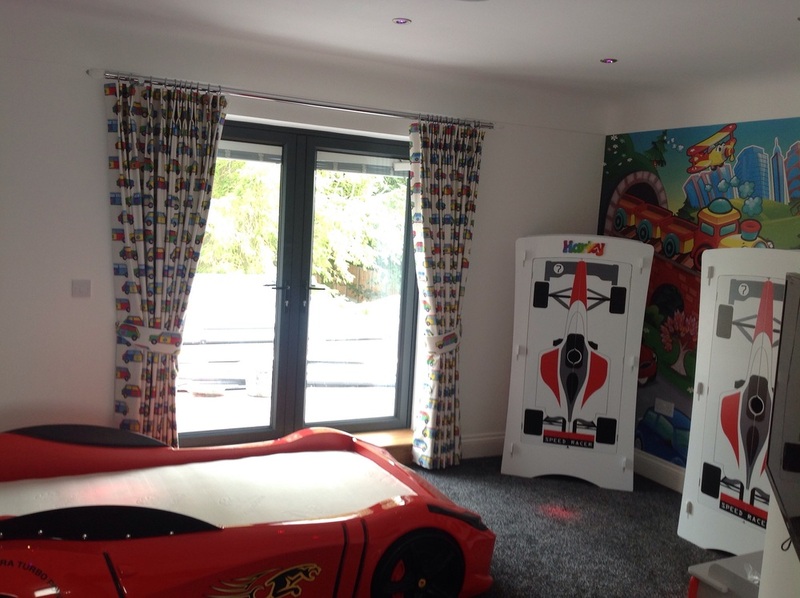 A project that took us over 2 month to complete, covering small bits at a time. 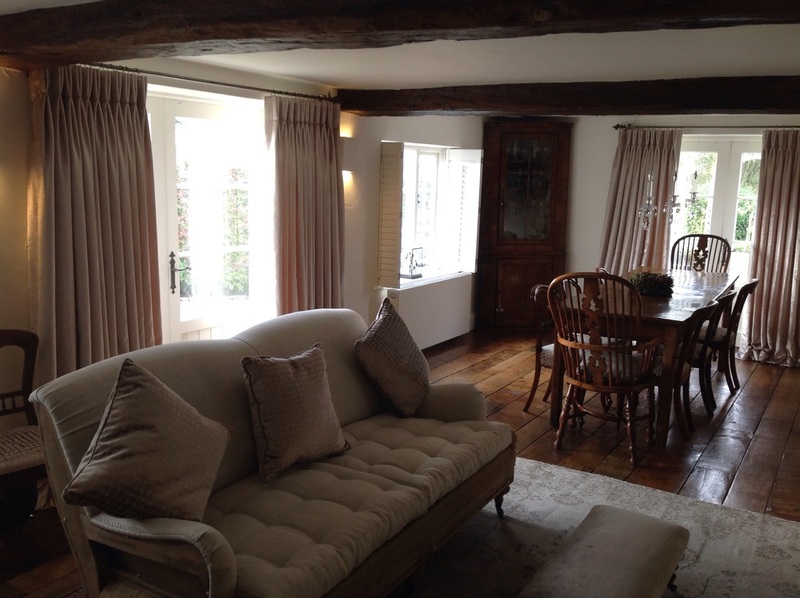 We where so thrilled with the end result. 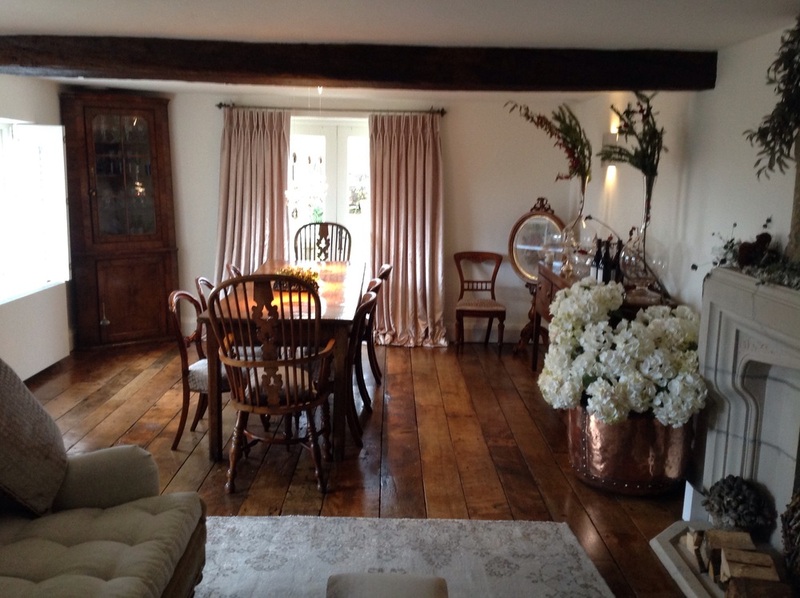 Antique dining chairs given a modern look. 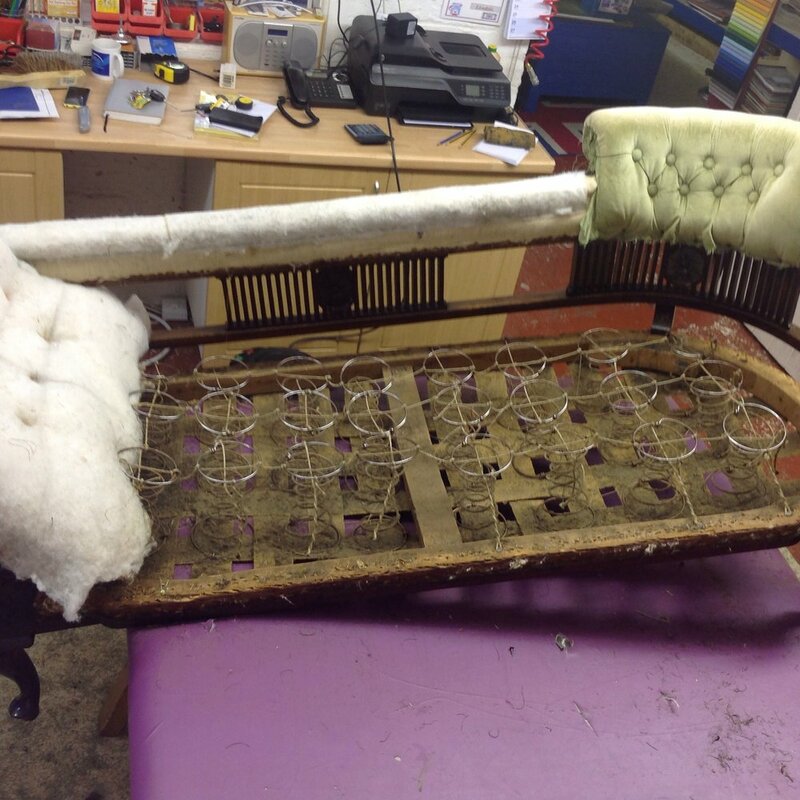 3 dining chairs recovered in a Harlequin velvet, with antique studs. One of two windows opposit sides of each other, one dressed left & the other right.